Sierra Nevada Corporation’s (SNC) Space Systems is pleased to announce that its Dream Chaser® Space System Program has been selected by NASA’s Commercial Crew Program to receive a Certification Products Contract (CPC). This award is the first step on the path to enabling International Space Station transportation services and to provide for government certification of the Dream Chaser commercial crew orbital transportation system. The contract, which was the largest award by NASA in this round, is valued at $10 million to be completed by May 30, 2014. It will begin in January 2013 and will provide a path for a robust relationship between SNC and NASA for the communication of technical interchange, concluding with the delivery of certification documentation to the agency. “The SNC team is now working with NASA through two Space Act Agreements which rapidly advance Dream Chaser® Space System design and development. This contract brings NASA’s investment in the program to approximately $350 million and allows SNC and NASA to jointly approve our Dream Chaser crew transportation certification plan. SNC will execute some of the tests and analyses in the plan over the coming months to begin working toward achieving NASA certification of Dream Chaser as this Nation’s next human space transportation system. SNC is committed to reestablishing the critical space transportation services lost after Space Shuttle retirement” said John Curry, Space Systems director responsible for systems engineering and integration of the Dream Chaser. 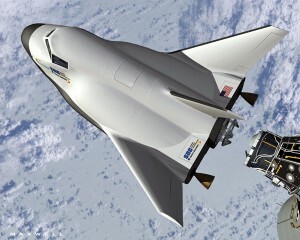 The Dream Chaser orbital crew vehicle is on schedule to complete its first free flight test, in conjunction with NASA’s Dryden Flight Research Center at Edwards Air Force Base, in early 2013. Sierra Nevada Corporation’s Space Systems business area headquartered in Louisville, Colorado, designs and manufactures advanced spacecraft, space vehicles, rocket motors and spacecraft subsystems and components for the US Government, commercial customers as well as for the international market. SNC Space Systems has more than 25 years of space heritage in space and has participated in over 400 successful space missions through the delivery of over 4,000 systems, subsystems and components. 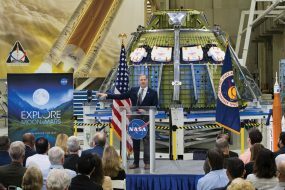 During its history, SNC Space Systems has concluded over 70 programs for NASA and over 50 other clients. For more information about SS visit www.sncspace.com.